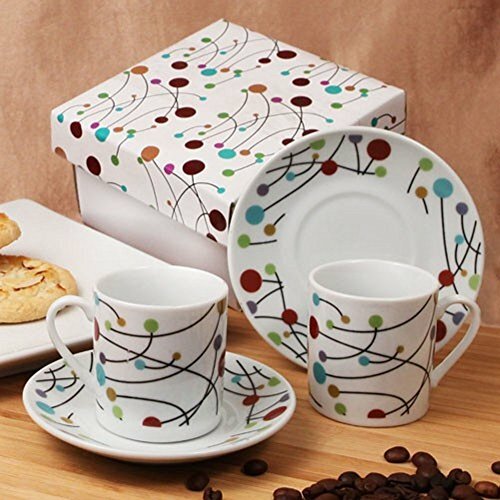 This lovely Polka Dot Swirls espresso set is the ideal gift for coffee lovers young and old. Each porcelain espresso set features a pair of cups and saucers beautifully decorated with a colorful array of polka dots, and lovingly packaged in a matching box ready to be presented as a gift. Make any coffee lover swoon with this adorable item! Comes in an elegant matching gift box. Box measures 5in.L x 5in.W x 3in.H.